A month after Davao City’s infamous Kadayawan festival, Dabawenyos welcomed another festivity. 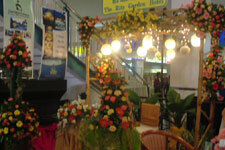 The Kasalang Filipino 2007 wedding fair and exhibit last Sept. 14-16 celebrated Davao’s local wedding industry and customs. As Kadayawan festival celebrates life, the gifts of nature and the bounties of harvest, Kasalang Filipino sa Davao, on the other hand, celebrates the joys and traditions of Dabawenyo wedding celebrations. 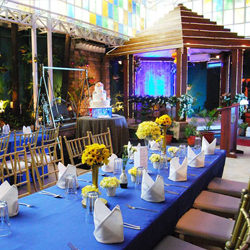 During the 3-day wedding event, the activity center of NCCC Mall Davao, the program host and partner, was turned into a wedding wonderland. 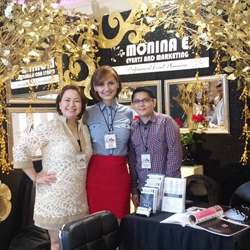 Various wedding suppliers, from Davao City’s finest to the promising ones, joined and showcased their wedding products and services. 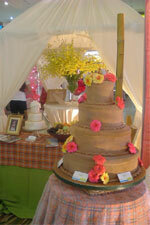 Some of Davao’s established and known wedding businesses who have supported the wedding fair include event stylist and party planner Annie Lim; Merco Quality Cakes, who has been in the business since 1946 and has 35 branches all over Davao; and Lito Sy who is one of the most sought-after wedding photographers in the country. 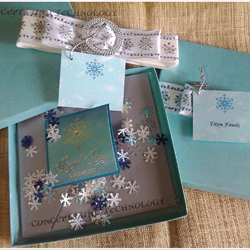 NCCC Mall, with 3 department stores in Davao, introduced its bridal collections as well as promoted its wedding registry service. 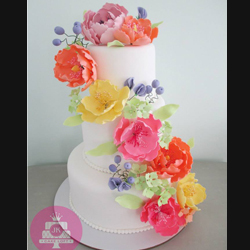 Its sister company, NCCC Foods, launched its wedding cakes and catering services and had the event goers sample what they have to offer. Kasalang Dabawenyo was culminated with a special wedding fashion show led by Davao’s Wedding Channel, NCCC Department Store, and some of Davao’s noted fashion designers. 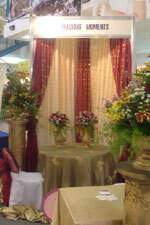 Please visit www.kasal.com for the Kasalan sa Davao exhibitors' complete contact details. Kasalang Filipino is a nationwide wedding fair road show aimed at tying 11 Philippine cities with one goal of promoting the local wedding industry. The following are the 11 cities of the 2007 road show - Tagaytay, Legaspi, Dumaguete, Tarlac, Iloilo, Cagayan de Oro, Davao, San Pablo, Dagupan, Cebu, and Manila. Kasalang Filipino 2007 is co-presented by Kasal.com and ABS-CBN; and is made possible by Philippine Airlines, Fuji-YKL, Chinabank, Standard Appliances, Colgate-Palmolive, Ever Bilena Cosmetics, Red Ribbon Bakeshop, Red Hat, MozCom PayEasy, QP Designs, Ariel Javelosa Photo & Video, Bitstop Network Services, and the following media partners: ABS-CBN Regional Network Group, Lifestyle Network, SkyCable, DWRR, My Only Radio, Metro Weddings magazine, Philippine News, Manila Bulletin’s About Weddings, Business World, Business World High Life, The Manila Times, Real Living magazine, Flavors magazine, Entrepreneur magazine, The Beat magazine, Sun.Star, OFW Ngayon, Media G8way, loCalDirect, Philstar.com, Yehey.com, HerWord.com, PinoyExchange.com, DigitalFilipino.com, Tsinoy.com, Trabaho.com and ThePinoy.net.